In today’s economy every dollar counts. 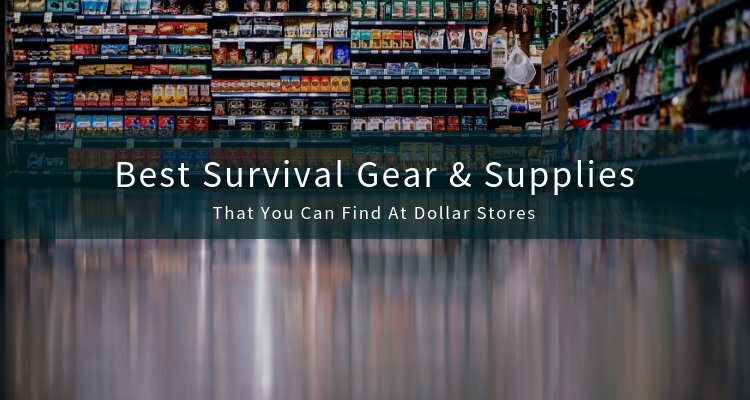 Many people out there are trying to stretch every dollar, while at the same time store additional supplies as part of their preparedness planning. 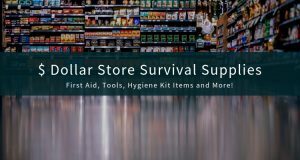 You may not think of a Dollar Tree or similar store as a place to buy survival supplies, but let me tell you, you would be surprised. Dollar stores offer an economical method of obtaining some needed supplies. I go to my local dollar store about every 2-3 months and check out what they have. For folks that can’t make it to the dollar stores, or prefer to have things shipped directly to their houses Amazon has also gotten very cheap (although dollar stores will almost always be cheaper if you can get there). 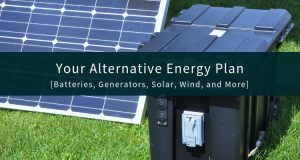 If you fall into this category, I included links to many of the products on Amazon. Stocking up on toothpaste is very easy at the dollar store. They even have a “Sensitivity” type that would cost you several dollars somewhere else. Floss is also available with many different types stocked. Tooth brushes galore!!!! You can get a years – maybe 5 years supply – of brushes for your whole family for just a few dollars. Above is a decent selection of cold medicines and band aids – CHEAP!!!! Anti-bacterial hand sanitizer and wet wipes – important items to assist in keeping germs to a minimum. Lot’s of medical ointments and cremes for all kinds of problems – some you especially do not want to be dealing with after TSHTF. Very inexpensive pain killers – great for the first aid kit. You can even pick up a few flashlights while at the dollar store. They sell batteries too. Do you have a young child in your group? Don’t let them feel left out – get them a backpack and have them help carry a few of their supplies. These are not very durable – but carrying a stuffed animal and a small blanket they would be just fine. 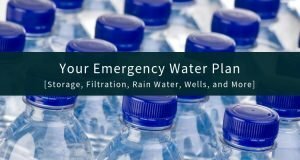 In this post I have shown many items related to sanitation and first aid – but there is so much more. Go by your local dollar store and see for yourself. It is amazing how many supplies you can get for $20-$25.00. 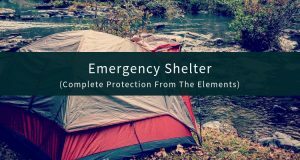 Interested in preparedness? Trying to be self-reliant? 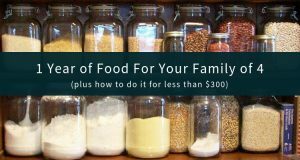 Are you frugal? Check out a few suggested items from Amazon. Amazon offers great prices and excellent customer service. Ultralight Backpacking Stove – works fantastic to boil water in less than 2 minutes. Uniden FRS/GMRS Walki Talkies – Inexpensive communication for within 1-3 miles depending on terrain. 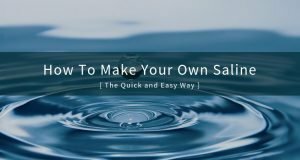 Lifestraw Family Water Purification System – One of the best deals on the market for a water purification system with the output to supply an entire family. Survival Seed Vault – All heirloom just as it should be.